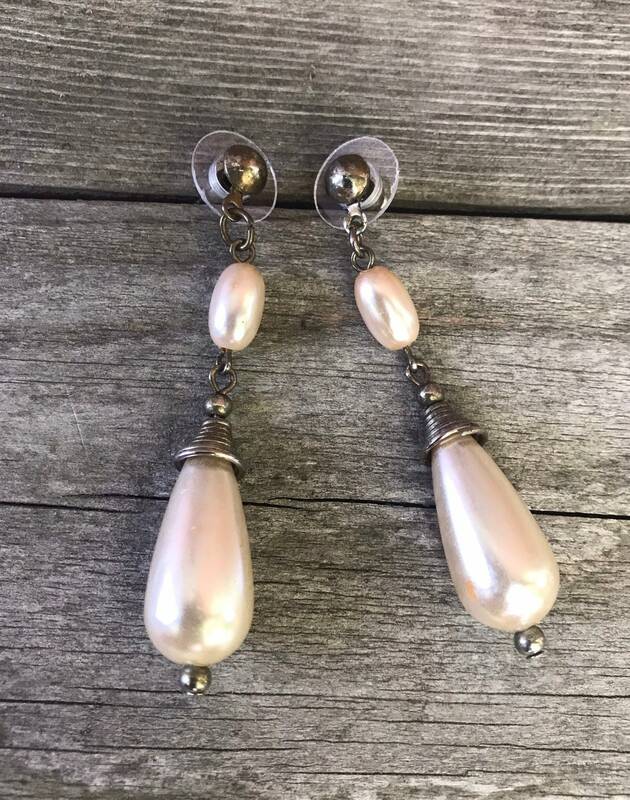 Beautifully Feminine & Elegant. 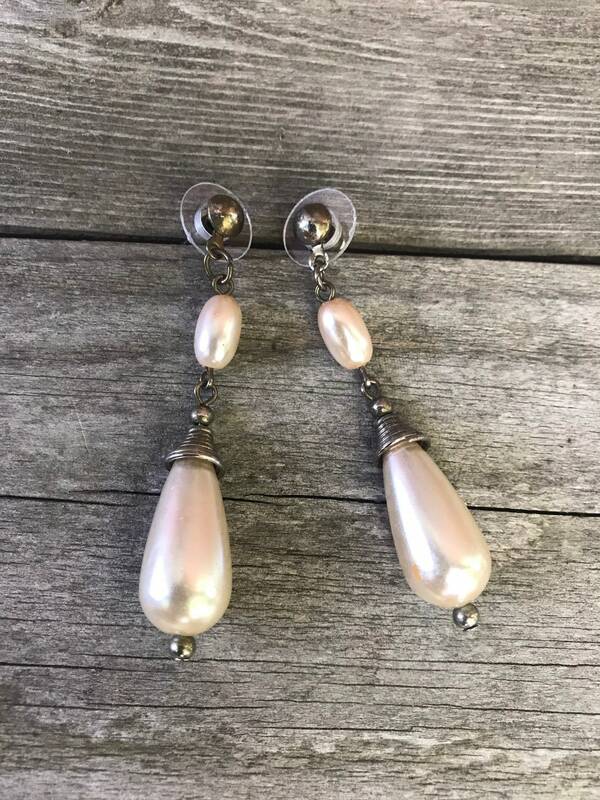 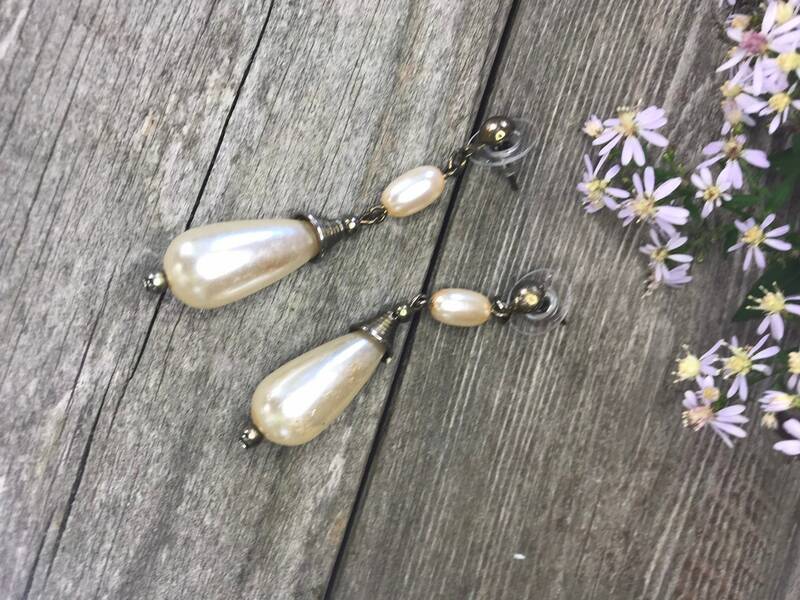 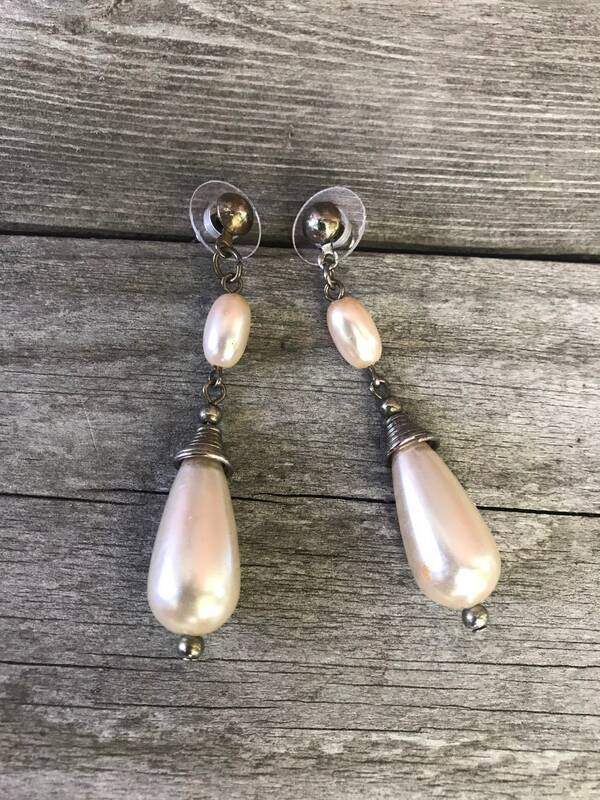 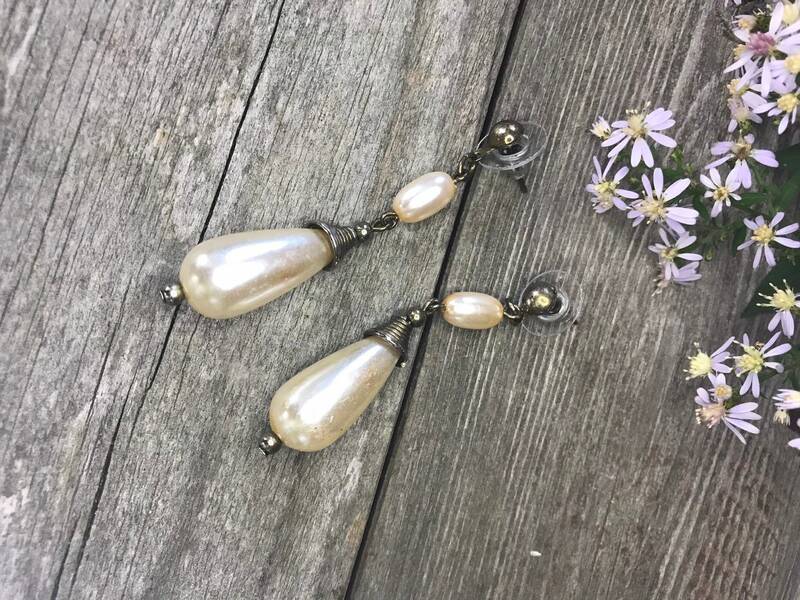 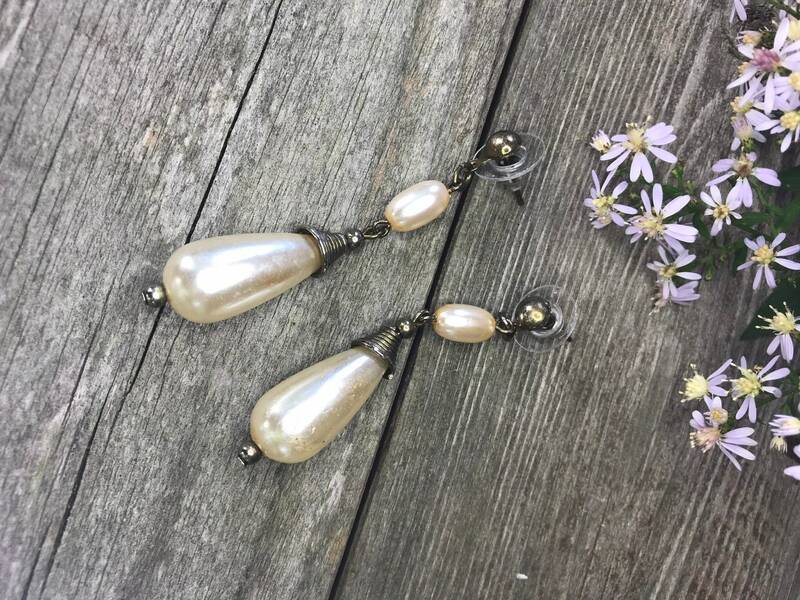 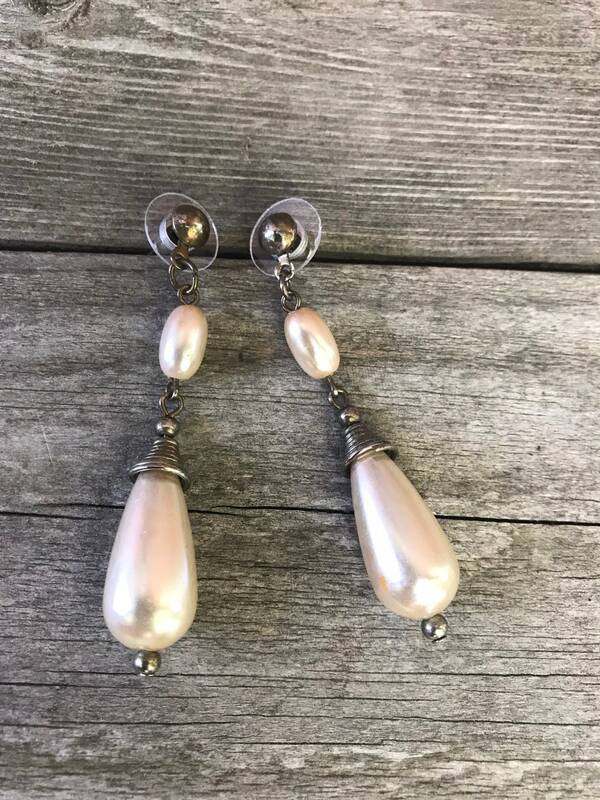 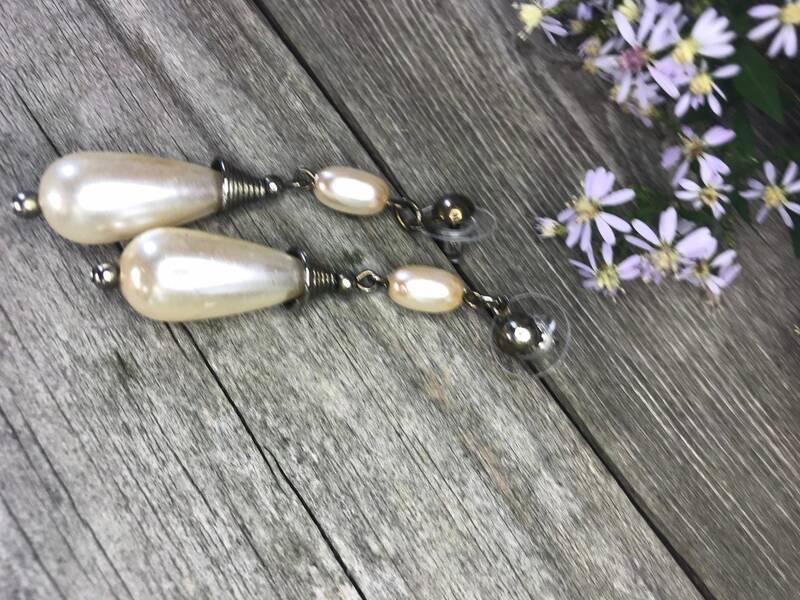 Overall very good condition - a minor amount of wear to the faux pearl finish in a couple of places - not enough to disfigure them - just enough to make them a bit more antique than not looking, with they are. 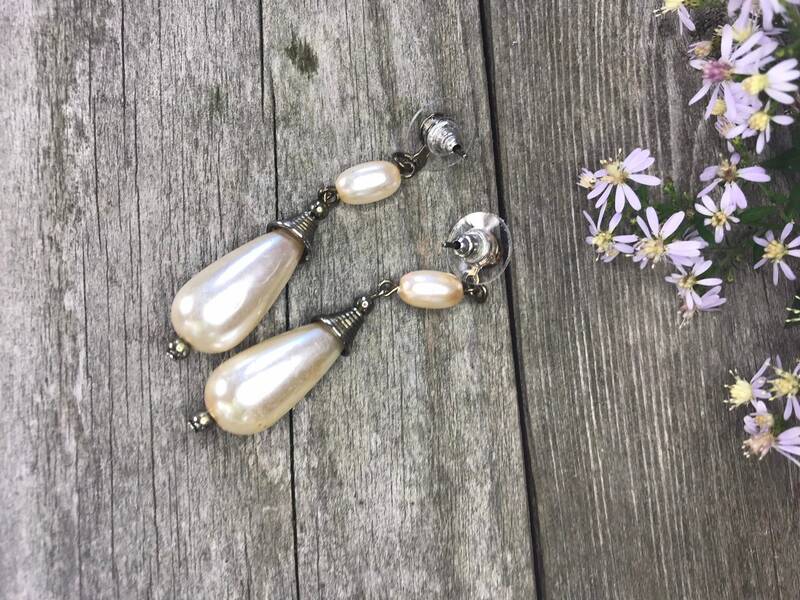 Look to be 60’s or 70’s I have a pair of similar clip ons in pink that were my mother in laws from the late 50’s. 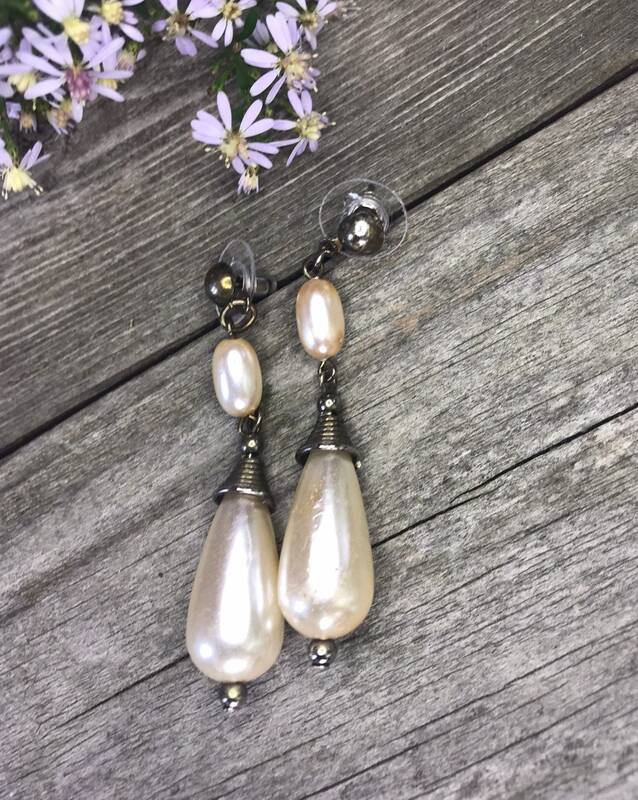 Pretty earrings -will repolish & I have added fresh earring backs.